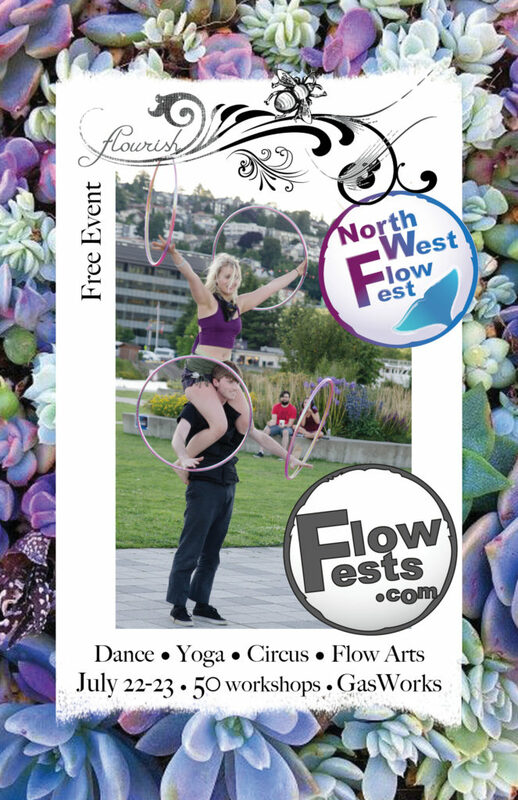 NorthWest Flow Fest celebrates our 2nd year as a FREE EVENT in SEATTLE, WA! 2 days of workshops in CIRCUS ARTS, DANCE, YOGA & ACROYOGA, & more! & FREE activities to Get into the Flow of Flow Fest! Shannon Marie, Matt Small, Aetheria De Fleury, Veronika Petra, Cassie McKenney, Evan Myers, Grace Martinez ( Run 2 Be Fit ), Tyler Spades, Desert-Inage Black, Karie Lynn Downing, Gina Renata, Sarah Bellum Collins, Audrey Djunaedi & Eric Basham, Arlene Smith, and more!